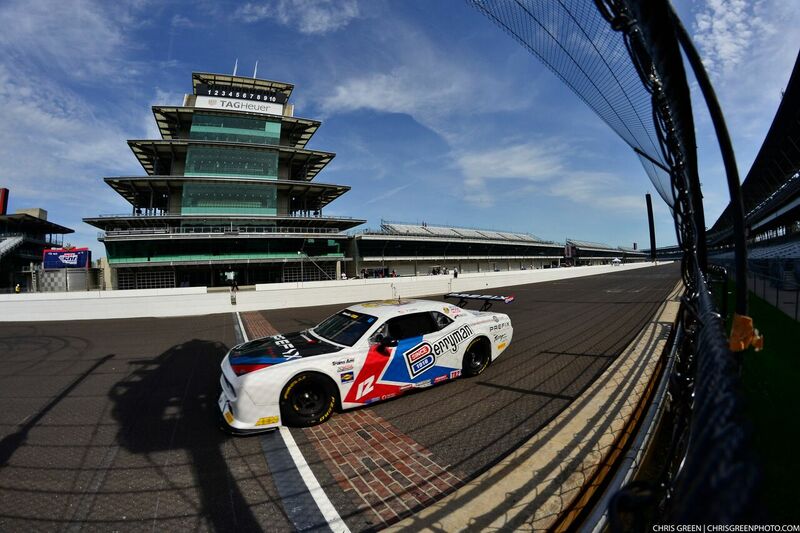 Columbia City, Indiana (June 17, 2018) – Arriving at their home track for the sixth event of the Trans Am 2018 season, Stevens-Miller Racing had a busy race week at the historic Indianapolis Motor Speedway. Four cars were on the agenda for complete prep, hauling, full crew support and spares. 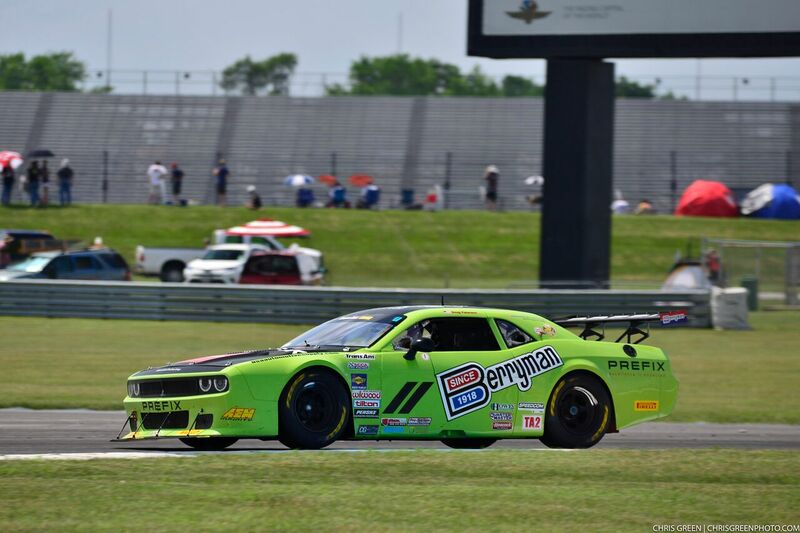 SMR is widely known for their Prefix built Dodge line up, with three under their tent for Indy as well as a Chevrolet Camaro. The average air temperature for this event week was 95 degrees, with the usual Indiana Midwest humidity. With the coolers stocked full of water, the crew put in the hours to oversee every part of all four competing vehicles. The track temperature was seen at 140 degrees on Saturday, so cooling systems, tires, and brakes were closely watched. There were many SMR team partners on-site Friday & Saturday, with Berryman Products and USA Automotive Supply having a showcase tent on location. Howe Racing Enterprises was also checking in to help with any questions SMR may have, with all four cars having been built by Howe. Prefix had 2 of their best engineers working alongside the SMR crew, assisting with tuning & setup of their engines. Saturday’s race begin close to 3PM, with the track temperature at its peak. As the laps progressed, several competing vehicles lost traction on the slick surfaces but their were no major incidents. 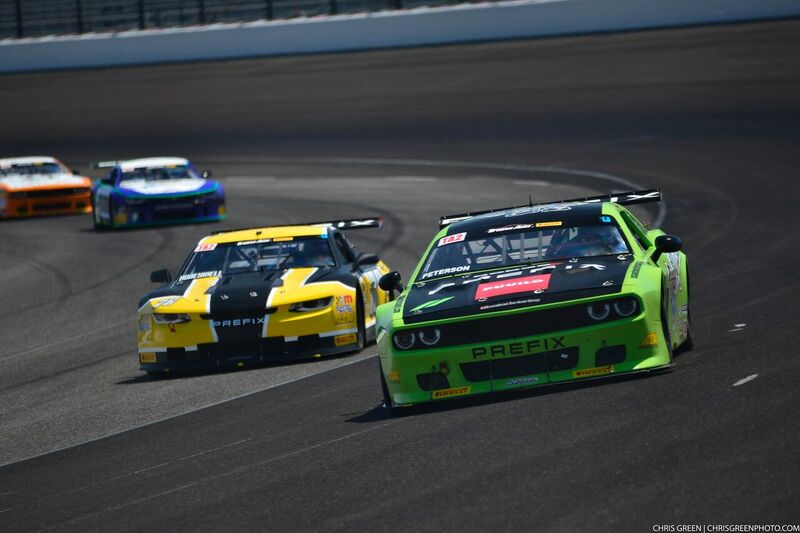 The Prefix powered Dodge Challenger line up of #49 Wilson, #11 Peterson, #12 Terry, would continuously move up and down in position, with constant passing and a fight to the top for the podium. The announcers were in awe of how intense the battle was throughout the entire event, with other teams receiving penalty. 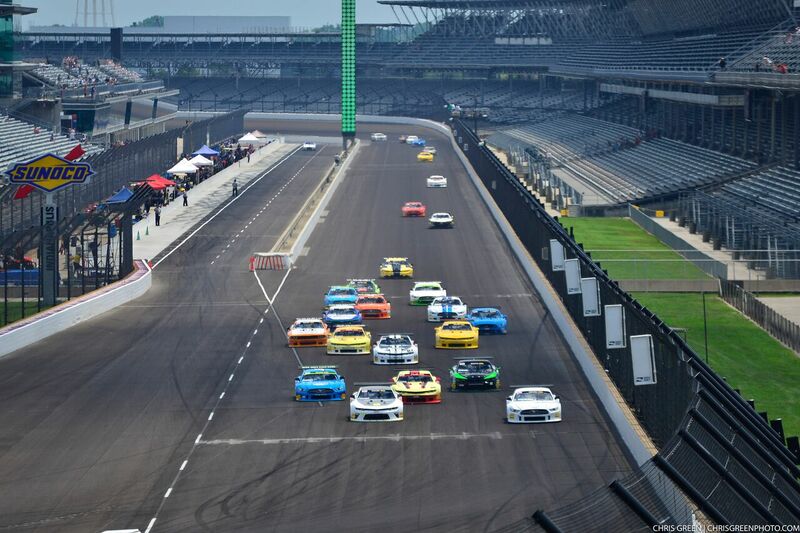 The final positions posted were #49 Wilson in 6th, #11 Peterson in 10th, and #12 Terry in 12th. Honeywell in his #76 Chevrolet Camaro would also fight for his top ten, crossing the finish line after 100 miles & 42 laps in 9th place. 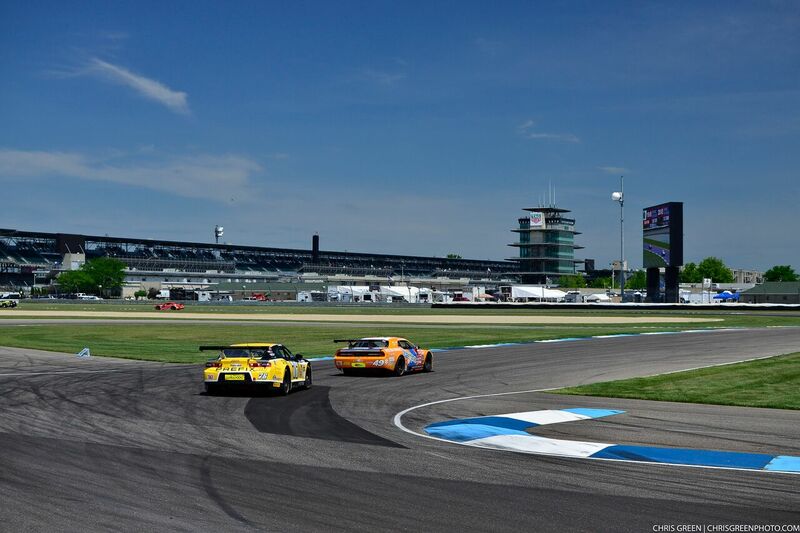 The SMR team will have a full field of cars entered for the next round at Mid-Ohio, August 9-11. 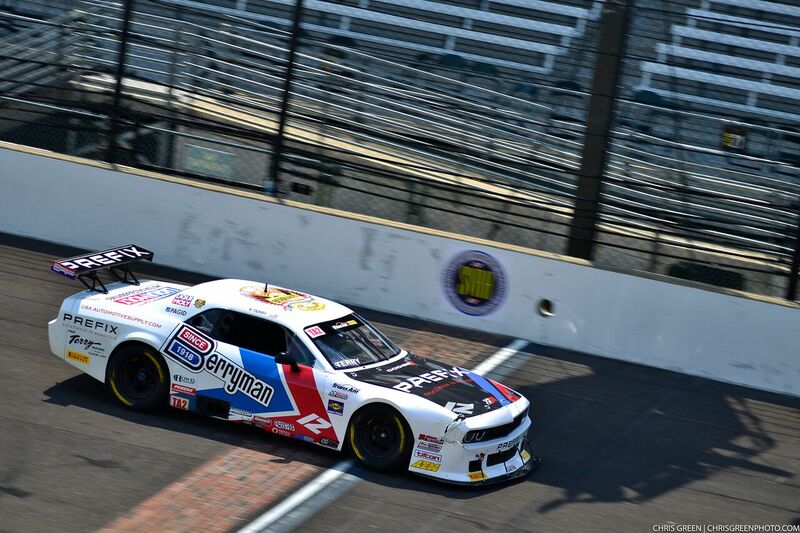 More information and tickets for the event can be found at www.GoTransAm.com.